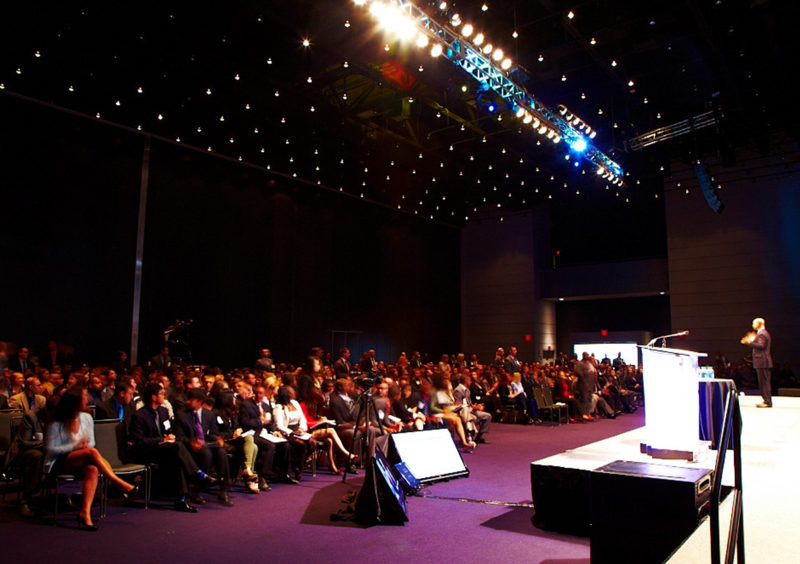 Running your own customer conference should be a key part of any business’s marketing strategy. From my own experiences, this just isn’t true. The first step is to clearly define why you are running a conference. What do you want to get out of it, and how you will analyse success/failure? Note: This is not a day long sales pitch. 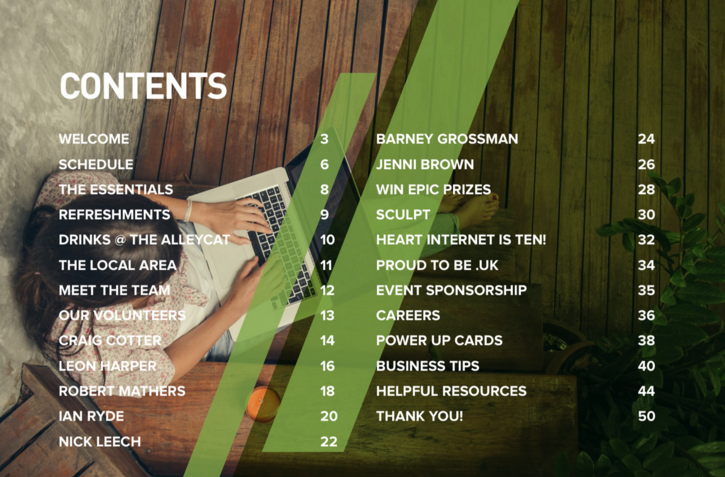 No matter what your goals are, provide your attendees with content that helps them. For example, if your business sells a product/service within a competitive, but largely emotion free industry, your conference is a great way to start moving away from being a commodity, towards being a brand with a loyal following. If you already have a strong brand following, a conference will cement that and maintain loyalty. Engage with our customers in a wat that differentiates us from our competitors, providing content that helps our customers be successful. Provide added value content – Delivered through informative talks and measured by attendee rating in post-event survey. Increase customer satisfaction and retention – Delivered through informative talks and measured by post-event survey, NPS and churn analysis. Differentiate ourselves from other faceless competitors – Measured with NPS and social media brand sentiment. Help our customers become more successful using our products – Measured with add-ons sales, upgrades and renewals. Getting feedback from four customers – Measured by the level of feedback. Organising a one day conference is a lot of work, so it is important you get internal buy in from all your stakeholders. The best way to do that is to keep everyone informed on progress and make them feel involved. With that in mind, share the day’s aim and goals amongst everyone who is helping to support the day. This way they are clear what you are are trying to achieve. Remember, this is not sales talk. What advice can you authoritatively give customers to help make them become more successful? If you approach your conference with that mindset, they will have a great day. Real-world, useful and practical advice about how they can do something better is always popular. Inbound marketing software provider Moz have got this down perfectly. Their annual ‘MozCon’ makes no mention of their products, it is 100% focused on helping their attendees be better. Choose your speakers wisely. Public speaking is not a skill everyone has, so don’t force anyone to speak who does not have the confidence to get up and talk in front of strangers. It will be a disaster. There are plenty of non-speaking support roles for people to help with. If you don’t have enough staff members who can give a talk, approach your suppliers/partners with the idea of being a guest speaker, or even running a joint conference. There are no hard rules for your day’s running times, but I would recommend planning short, punchy talks to keep people’s attention. This also gives you time to cover a wider range of topics. Make sure you build in refreshment breaks. This gives attendees a chance to mix and stretch their legs. Don’t forget lunch to keep the afternoon energy levels up! One of the biggest decision you will make is where to hold your event. Cost is an obvious consideration, but so is accessibility. Unless you are lucky enough to have space to hold your conference at your offices you’ll need to rent somewhere for the day. This doesn’t have to be in the same city as you are based. Is the venue easy to get to for the majority of your customers? You are asking people to spend a day away from their office, and they aren’t going to want to spend a lot of time commuting back and forth. Even national online brands find they have larger than average clusters of customers in particular cities/regions. Research your customer base and choose a city that the majority of your customers live/work near. I.e. Play the odds. The simplest way to research your venue is via a search on Google “conference venue hire in [city]”. Alternatively, there are services such as Hire Space and wefindvenues that act as an event search engine/directory. How will people apply to attend? – Are you inviting specific people or do people need to apply? If so, how do they do that? How will you choose who will attend? – Is their any selection criteria or will it be a random selection? If you are opening up applications to all of your customers (and I would recommend that you do to create critical mass for your marketing), you need a mechanism to capture their interest. The simplest method is to ask them t0 reply to an email invitation, or to put a form on your website that sends you an email with their details. Although quick and easy to set up, using email creates a lot of manual work (e.g. manually importing details into a spreadsheet/database, mail merging, managing dropouts…etc. ), especially if you are planning on having 100+ attendees. I would recommend you use services such as Eventbrite, Get Invited and nvite. You can integrate them in to your website very easily. The latter two both let you sell tickets to your event from your website, with attendee management and stats built-in. You can set your price to zero if you don’t want to charge (if you don’t charge, both services are free to use – bonus!). If you use WordPress, the Tickera plugin will let you sell tickets online, for a one off purchase fee, and no monthly/transaction charges. This is a great opportunity to engage with your all customers (and prospects) through a really positive message. Publically limiting access to a small percentage of your customers (e.g. only inviting your top sellers, or your ‘VIP’ group) completely undermines this. However, your big spending customers are your most important, and your top 20% probably contribute 80% of your revenue. They are the people you want to attend and build relationships with. I will leave it with you to decide which approach you want to take. Use every communication channel available to announce your conference. It is a big deal! We are holding our first ever conference, on [date] at [venue] in [city] and it is exclusively for our customers. The day will be packed full of great talks covering topics such as successfully supporting your customers, building a brand, SEO and PPC on a limited budget and much more. We only have 130 seats available so places are limited. Click on the button below to find out more and register your interest. People will naturally have questions, and you can address common ones before they are asked on your landing page with an FAQ section e.g. How much does this cost? Nothing, it is 100% free. Can I bring someone with me? This is only open to our customers. With limited seats we want to make sure as many of our customers have an opportunity to attend. Do I need to bring any snacks or drinks? Lunch and refreshments will be provided throughout the day. What is the process for choosing who will attend? We are currently inviting all customers to confirm their interest. This will close on [date]. W/c [date] we will pick 130 people at random and contact them to let them know they have been chosen to attend. There will be two pots. A mistake I made the first time I organised a conference was not informing those who had been unsuccessful. I had said we would contact successful customers by a certain date on the landing page. Therefore, I assumed I just had to inform the successful customers and the rest would work out they hadn’t been chosen. I received numerous emails and comments on social media asking when they would be told, or whether they had been selected. The second time I organised a conference, I also emailed the non-attendees to inform them they had not been chosen. Regular, clear communication is key here. Even though they applied to attend, and you have given them all the information they need to know where to be and when, don’t assume anything on their part. Stay in touch with regular emails that get progressively more frequent as the day gets closer. This will guarantee a much higher turnout. 4 weeks: Nearly there – General reminder and any questions? 1 week: Reminder of directions and any questions? Despite this aggressive communications schedule, every time I have organised an event I have had a handful of attendees get in touch with a few days to go asking if they been chosen or where it is being held. Not everyone reads all their emails. With this in mind, consider calling your attendee list with a week to go to make sure they have all the details and they are still coming. Let customers who have been unsuccessful know they can be added to a back-up list to step in if anyone drops out. It is normal to find that people drop out closer to the day. Hopefully more inform you than don’t, and when they do, you can fall back on your back-up list. This is not the place to try and save money. The quality of the collateral you give them says a lot about your business. Make sure it is good. Additionally, treat the day as a proper conference, and produce a booklet to hand out at the start. Include the structure of the day, bios of the speakers, info about the products related to the talks, general useful resources e.g. marketing materials, PDF downloads, books, a couple of pages with lines for note writing etc. Create a Gantt chart with all the tasks you need to complete in the build up to the big day along the X axis, and dates on the Y axis. Practice running through each talk at least once. This will draw attention to anything that needs changing from a content or timing perspective. Hold a kick off meeting to explain the objectives, the outline of the day and who will have responsibility for what. From there start with monthly meetings, with the meetings and catch-ups becoming more frequent as the day gets closer. Set-up a welcome desk, using your branding so it is clear who you are. From here take their registration and then walk them to where the conference is being held. Unless the room is directly next to your table, don’t just point them in the general direction of where to go. People will get lost. Once the talks start, the day should pretty much manage itself. Assuming there are no technical glitches, you can sit back and enjoy the day. Get your attendees talking about their day on Twitter or Facebook. You can do this by linking their use of a hashtag to a competition, or Q&A session at the end (or both). This also helps to get fellow attendees interacting with each other on social media. Send a survey the day after the event to everyone who attended, thanking them for coming along and asking them to rate various aspects of the conference. This way it is fresh in their memory and they are still engaged enough to make the effort to reply. For an events like this to succeed the whole company needs to have bought into the idea, and view it as everyone’s responsibility to make it a success. Good luck if you are planning your own conference, and I hope it all goes well!